SPC Marvin Phillips was buried next to his parents , exactly 45 years to the day and hour he was killed in combat. The Navy will commission the newest Arleigh Burke class guided-missile destroyer, Spruance, Saturday, Oct. 1, 2011, during a 6:30 p.m. EDT ceremony at Naval Air Station Key West, Fla. Designated DDG 111, the new destroyer honors legendary Adm. Raymond Spruance, whose calm and decisive leadership at the Battle of Midway contributed to a pivotal American victory during World War II. Vice Chief of Naval Operations Adm. Mark E. Ferguson III will deliver the ceremony's principal address. Ellen Spruance Holscher, granddaughter of the ship's namesake will serve as the sponsor. The ceremony will be highlighted by a time-honored Navy tradition when she gives the first order to "man our ship and bring her to life!" Born in Baltimore, July 3, 1886, Spruance graduated from the Naval Academy in 1906. His Navy career was extensive, including command of five destroyers and the battleship Mississippi. Spruance led Task Force 16, with two aircraft carriers, during the 1942 Battle of Midway, where his disposition of forces and management of aircraft was crucial to a victory that is regarded as the turning point in the Pacific war with Japan. He later directed campaigns that captured the Gilberts, Marshalls, Marianas, Iwo Jima and Okinawa and defeated the Japanese fleet in the 1944 Battle of Philippine Sea. After commanding the Pacific Fleet in 1945-46, Spruance served as president of the Naval War College until retiring in 1948. In 1952-55, he was ambassador to the Philippines. Spruance died at Pebble Beach, Calif., Dec. 13, 1969. Spruance, the 61st Arleigh Burke-class destroyer, will be able to conduct a variety of operations, from peacetime presence and crisis management to sea control and power projection. Spruance will contain myriad offensive and defensive weapons designed to support maritime warfare and be capable of fighting air, surface and subsurface battles simultaneously. The ship will be the second ship named for Spruance. The first USS Spruance (DD 963) was the lead ship of Spruance class destroyers serving from 1973 to 2005. Cmdr. Tate Westbrook, a native of Murfreesboro, Tenn., will become the first commanding officer of the ship and will lead a crew of 285 officers and enlisted personnel. The 9,200-ton Spruance was built by Bath Iron Works in Bath, Maine. The ship is 509 feet in length, has a waterline beam of 59 feet, and a navigational draft of 31 feet. Four gas turbine engines will power the ship to speeds in excess of 30 knots. with our health care colleagues, public and private, are invaluable." areas as inpatient and ambulatory care, prevention, and chronic disease. HURLBURT FIELD, Fla., Sept. 27, 2011 - When Air Force Staff Sgt. Robert Gutierrez Jr. was shot in the chest during a mission in Afghanistan, he knew he may have only minutes to live. He also knew that as the only qualified joint terminal attack controller there, he had to stay alive for the sake of his battle buddies. Gutierrez recovered from his wounds from two years ago, and recently was awarded the Air Force Cross for extraordinary heroism, superb airmanship and aggressiveness in the face of the enemy, according to the medal citation. Gen. Norton A. Schwartz, Air Force chief of staff, announced the award Sept. 20 during the Air Force Association convention in National Harbor, Md. Gutierrez was a Special Operations Command combat controller on Oct. 5, 2009, when an armor-piercing round entered his left shoulder and wreaked havoc throughout his chest. "I've seen those types of injuries before, and time isn't your friend," he said later. "I thought, 'I have three minutes before I'm going to die. I've got to do something big. Based on that time frame, I'm going to change the world in three minutes.'" The team of 30 U.S. Army Special Forces and Afghan army commandos was surrounded in a Taliban-sympathetic village in western Afghanistan's Herat province. According to official reports, enemy fighters were positioned on rooftops just 10 feet from the team's position inside a neighboring building. Gutierrez was shot during the four-hour firefight that included sniper and small-arms fire, as well as rocket-propelled grenades. As the combat controller, Gutierrez was the only qualified radio operator communicating with airmen overhead to provide close air support and real-time battlefield surveillance that was critical for the team mission and to be able to evacuate their wounded. "Combat controllers are the air-to-ground interface, bringing the firepower and communications links to the ground force commander," Gutierrez said. "We bring an extraordinary amount of firepower in a small package able to shoot, move and communicate at the same time." Believing he was about to die, the San Diego native refused to remove his body armor, which held his radio, despite two medics repeatedly ordering him to take it off so his wounds could be treated. Gutierrez only relented momentarily, allowing the medic to insert a needle decompression tube just below his collarbone. A sucking chest wound, which is common in gunshot victims, fills the chest cavity with blood, collapsing the lungs. The medic's procedure released the growing pressure on his collapsed lung, allowing Gutierrez to breathe and speak ï¿½ enough so that he got back on the radio. He continued to advise the ground force commander and request close air support of F-16 Fighting Falcons and A-10 Thunderbolt IIs overhead. "I realized he was shot after the third [and final] strafe pass," said Air Force Capt. Ethan Sabin, then assigned to the 354th Expeditionary Fighter Squadron. "He said he would be off of the mic for a few to handle his gunshot wounds. Until that point he was calm, cool and collected." "There is no doubt his heroic action under extremely dangerous circumstances, and despite being wounded, [he] saved the lives of his teammates," said Air Force Lt. Gen. Eric Fiel, commander of Air Force Special Operations Command. "His courage and character is unsurpassed. While I know he is a humble person that does not seek the spotlight, he is so deserving of the Air Force Cross. His actions are just a snapshot of what AFSOC airmen are doing everyday in our current theater of operations." In all, Gutierrez incurred a gunshot wound to the upper shoulder and triceps and left chest and lateral muscle that resulted in two broken ribs, a broken scapula, a softball-sized hole in his back, a collapsed lung and multiple blood infections, which required three chest tubes, three blood transfusions and seven surgeries. To top it off, the 30 mm strafing runs ruptured both of his eardrums. Despite losing five pints of blood and walking about a mile, Gutierrez stayed on the radio calling for his own medical evacuation and ensuring surveillance coverage for the safe return of the ground-force team. Gutierrez credits the Special Forces medic and an A-10 pilot with saving their lives. "I don't care if I get an award or not," he said in a 2010 interview. "The team was outstanding. I'm just a product of what I've been taught and a product of AFSOC." Since 9/11, four Air Force Cross medals have been awarded, all to AFSOC airmen. Gutierrez is the second living recipient to receive the medal. Staff Sgt. Zachary Rhyner was awarded the Air Force Cross while assigned to the 21st Special Tactics Squadron, Pope Air Force Base, N.C., for actions as a combat controller April 6, 2008, in eastern Afghanistan's Nuristan province. Gutierrez was a teammate during that operation and received the Bronze Star Medal with Valor and the Purple Heart. Gutierrez was assigned to the 21 STS during the 2009 operation and now is assigned to the Air Force Special Operations Training Center here, instructing future special tactics airmen. Justin Bernier, a Navy Intelligence officer and Iraq and Afghanistan Veterans for Congress (AIVC) endorsed candidate, is hosting a major fundraising event on Friday September 30th (see details below). If you cannot attend but would like to support Justin's campaign before the crucial September 30th fundraising deadline click here. Justin Bernier volunteered for military service after 9/11 and was commissioned in the U.S. Navy as an intelligence officer. Bernier served at the Defense Intelligence Agency and, in 2007, was mobilized for a tour of duty in Afghanistan. He was stationed on the ground in Kabul and was awarded the Joint Service Commendation Medal for his service. After returning home from Afghanistan, Bernier was named Executive Director of the Office of Military Affairs by Governor M. Jodi Rell, and was unanimously confirmed by the state senate. Under Bernier's leadership of the Office of Military Affairs, the State of Connecticut reached a historic agreement with the U.S. Navy in order to improve Submarine Base New London and avoid a future shutdown. Bernier also battled to pass legislation that would allow U.S. service members to vote electronically when deployed overseas. Bernier was Chairman of Connecticut's Military and Defense Advisory Council, an unpaid group of experts committed to helping the state's workers, veterans and military families. He also served on the state's Council on Education for Children in Military Families. Bernier is currently a Lieutenant in the U.S. Navy reserve. He remains active in the veteran community as a member of the Veterans of Foreign Wars, an organization widely recognized for its charitable activities across Connecticut. Fmr. First Selectman John B. Margenot, Jr.
Cordially invite you to a fundraiser in support of Justin Bernier, Republican Candidate for Congress in Connecticut's Fifth District. Please RSVP to Megann O'Malley at (860) 949-0926, or megann@bernierforcongress.org. Afghanistan & Iraq Veterans for Congress PAC (AIVC) is a federally registered political action committee supporting the congressional campaigns of conservative veterans. AIVC looks for veterans who are determined to become a voice for our troops, military families and hardworking patriotic Americans who believe that our country, our Constitution and our way of life are worth fighting for. AIVC was founded in 2007 by Kieran Michael Lalor, a Marine Corps Veteran of Operation Iraqi Freedom. This email is paid for and authorized by Iraq Veterans for Congress PAC and not authorized by any candidate or candidate's committee. WASHINGTON, Sept. 26, 2011 - The soundboard lights went dark for the last time when American Forces Network Radioï¿½Iraq "Freedom Radio" went off the air at midnight Sept. 23, after an eight-year run in Baghdad. The station's ending closed a chapter in the final 100 days of the U.S. drawdown of Operation New Dawn in Iraq. Operated by Army Reserve broadcasters, AFN-Iraq hit the airwaves in March 2003, when a U.S.-led coalition invaded Iraq to oust dictator Saddam Hussein. Since that time, the team of Army announcers kept service members entertained and informed with a variety of music, chat and news. "It's ... a morale boost for the troops," Army Staff Sgt. Brad Ruffin, an AFN-Iraq announcer, said of the broadcasts. "That why we're here. We do it for them." Army Sgt. Adam Prickel called entertainment an important factor in AFN-Iraq programming, "to get [the troops'] minds off something that might be stressing them out a little too much." Emails from listeners came in every day to say they enjoyed the music AFN-Iraq played, announcer Army Staff Sgt. Jay Townsend said. The final broadcast that began at 6 a.m. Sept. 23 was filled with listener requests, entertainment and special interviews. "We had shout-outs from celebrities, interviews with military leaders and the famed Adrian Cronauer," Sgt. 1st Class Don Dees said during his on-air shift. Cronauer is the former AFN radio broadcaster who was the inspiration for the 1987 Hollywood film, "Good Morning, Vietnam." Coming up on midnight for the final time, AFN-Iraq Freedom Radio played its most-requested song: "Courtesy of the Red, White and Blue," by Toby Keith, Dees said. Radio programming now gives way to AFN signals from other locations, he said. AFN-Iraq, an Army Reserve 206th Broadcast Operation Detachment in Texas, will become AFN-Europe out of Germany, officials said. "We lived by the motto, 'Always there, on the air,'" Dees said. The station also plans to keep its Facebook page, which has 5,400 "friends," active. "We have decided to keep this page running indefinitely," according to a post on its wall.
. Cold War Memories: Anyone Lose an F-106? At an EAA AirVenture forum last month someone from the audience asked what was left of the Cold War. The Berlin Wall, erected 50 years ago this month (pictured above), was arguably the most notorious symbol of the era but long gone. Today there are few reminders of the Cold War around, save for perhaps Cuba, the 38th parallel, and some significant holdovers in Russia and China. But the audience was reminded that one large-scale Cold War relic continues to be used today: the United States Interstate system. The Cold War is still alive in our memories as well. 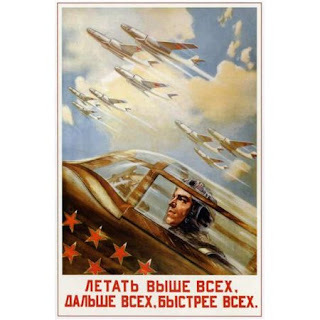 We invite you to share your perspective in the Cold War Memories section, and consider submitting a Cold War article to enhance our publication. There is an amazing military blog being written out of Afghanistan by Army Orthopaedic Surgeon Dr. Mark Duber called: WarBird Doctor Diaries. The blog, which launched in late July, chronicles the deployment experiences of Capt. Mark Duber. Capt. Duber's frontline blog has even caught the attention of Cleveland.com, which recently ran a story called: "A voice from the medical front in Afghanistan". WASHINGTON, Sept. 25, 2011 - First lady Michelle Obama praised military families and applauded a Navy veteran who is working to help homeless women veterans in Fayetteville, N.C. Writing in an op-ed piece published today in the Fayetteville Observer newspaper, Obama said the strength, courage and patriotism of military families took her breath away, inspired her and motivated her to learn more about them. Military families are "your neighbors who raise children and manage households by themselves while their loved ones are deployed," she said in the op-ed. "They're military kids who have lived most of their young lives with our nation at war and Mom or Dad overseas. They're our wounded warriors or survivors of our fallen who continue to serve their community every day." Her piece appeared before broadcast of an Extreme Makeover television show in which hundreds of people worked this past summer to build a state-of-the-art facility for Jubilee House, an effort led by 15-year Navy veteran Barbara Marshall, of Fayetteville, as part of the Steps 'N Stages program for homeless female veterans. "She's doing it in an unconventional way: by welcoming these struggling women and their families into her own home," Obama said of Marshall. "The Marshalls -- Barbara; her son, Bert; and her daughter, Maya -- are perfect examples of how much our military families give to our country each and every day. And this summer, a whole busload of people stepped up to give the Marshalls something back. "For one week in the sweltering heat, local volunteers and the Extreme Makeover: Home Edition cast and crew worked around the clock to transform Barbara's home into a beautiful, state-of-the-art dream house and resource center," Obama said. "I was thrilled to help out with some of the finishing touches, and I'll never forget the look on Barbara's face when the bus pulled away to reveal her new home." The first lady said the Fayetteville community's "warm embrace of this family and our homeless veterans," was her strongest memory of the event. "I saw neighbors grabbing shovels and picking up scraps around the worksite.ï¿½I saw business owners and local organizations pitching in. Even folks around the country got involved, donating logs online to help build the beautiful cabin," Obama said. The first lady said the compassion she witnessed in Fayetteville is alive and well in every community across this country. "That's what compelled Dr. Jill Biden and me to launch our Joining Forces initiative this spring," Obama said. "This is a national initiative to address the unique needs of, and expand opportunities for, our remarkable military families." The initiative seeks to bring together businesses, nonprofit organizations, schools, churches, and ordinary citizens to do whatever they can for service members, veterans and their families. "And it's about everyone no matter where they come from or their station in life stepping up to give something meaningful back," she said. Obama congratulated the people of Fayetteville for serving as an example to the rest of the country, and she asked all Americans to go to www.joiningforces.gov to see how they can also help. officer who was killed in Afghanistan. the Afghan army attacked with a firearm. insurgent and continued to advance until he was fatally wounded." as an individual augmentee, attached to an Army unit. operations made the decision to deploy individual sailors very simple. could get into the fight was going to relieve a soldier," he said. sand" of Iraq and Afghanistan, Mullen said. "There are 12,000 there today, and that continues," he said. ceremony and thanked everyone who attended. Narragansett, Rhode Island, in 2002.
marine engineering and shipyard management. WASHINGTON, D.C.—Today, during a joint hearing, the members of the House Committee on Veterans' Affairs and the Senate Committee on Veterans' Affairs heard testimony from The American Legion on its 2012 legislative priorities—priorities that focus on ending unemployment for America's veterans. "The jobless issue facing our veterans is critical. We have a goal at the Committee to reduce veterans' unemployment to less than 5% over the next two years," stated Rep. Jeff Miller, Chairman of the House Committee on Veterans' Affairs. "This goal is achievable through the creation of opportunities in the private sector, enacting pro-growth policies, and producing meaningful legislation, such as the VOW Act, to create the most qualified veteran workforce since World War II. The American Legion's National Commander, Fang A. Wong, detailed the Legion's goals for the coming year, which include better support for female veterans, reducing the disability claims backlog, and addressing veteran homelessness and unemployment. "According to figures from the Bureau of Labor Statistics in June, there were over 1 million veterans unemployed, and more than 632,000 of them between the ages of 35 and 60. These figures address a challenge that defies simple solutions," Wong said. "If a solution is to be found, it will require cooperation on multiple levels. The American Legion will always be at the forefront fighting for improvements to veteran employment." Both Committees have pending legislation to assist veterans who are out of work. A fundamental pillar of both bills (H.R. 2433 and S. 951) is strengthening the Transition Assistance Program (TAP) to ease the transition to civilian status for separating servicemembers, while ensuring the program's effectiveness in the 21st Century job market. "I look forward to discussing the VOW Act with Senator Murray in the coming weeks in a bipartisan manner to send to the President comprehensive legislation by Veterans Day," Miller said. "I thank The American Legion for being a partner to our Committees and most important, for each Legionnaire's continued service to our nation." The VOW Act (H.R. 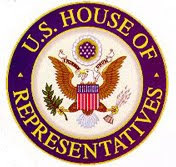 2433) is expected to be voted on by the House of Representatives in early October. @HouseVetAffairs & @AmericanLegion focus on #jobs4vets during annual legislative hearing with the Senate. @HouseVetAffairs & @AmericanLegion agree that #jobs4vets are dependent on the private sector. #Vets4jobs a top priority for @HouseVetAffairs & @American Legion. Will be an all hands on deck effort. Help bring #vet unemployment to less than 5%. Learn more about the #VOWAct at veterans.house.gov/jobs. Photos from the hearing can be found here. Authorize and issue a Cold War Service Medal for all who served in the military during the Cold War. We feel a Cold War Service Medal should be issued to all who served in the military during the Cold War. The American Cold War Veterans have long fought for recognition, respect; and equal treatment for all veterans. We have had past support in Congress, but have yet to see it come to fruition. Many lives were lost during this struggle to contain Communism and keep the world free, on missions that still remain secret. and made sweeping changes in its structure and oversight. been provided to family members and the American public." compliance, and a dysfunctional workforce. of Congress and the American people." services per day -- many with full military honors -- has not abated. confidence in the operation of its most hallowed ground." National Cemetery are available at: http://www.army.mil/arlington . For more information contact Lt. Col. Lee M. Packnett at 703-697-7592. Veterans Health Care Facilities Capital Improvement Act of 2011 (H.R. facilities in Seattle, Washington, West Los Angeles, California, St.
projects that were the highest in priority were advanced. appropriated, or will soon be appropriated. of America's veterans, today, and tomorrow." President for signature prior to the end of the fiscal year. KANDAHAR AIRFIELD, Afghanistan, Sept. 20, 2011 - Army Chief Warrant Officer 5 Roy Brown proved his mettle as a combat pilot in Vietnam. Now, 41 years later, he's proving his stamina and love of the military with service in Afghanistan. Brown, who also served in Operation Iraqi Freedom, began his career with the 101st Airborne Division, and is serving with the Screaming Eagles again as his career draws to a close. As the 159th Combat Aviation Brigade's liaison officer to the Air Force's 702nd Expeditionary Airlift Squadron, which supports Regional Command ï¿½ South here, Brown is in no hurry to retire. "Call it patriotism or call it my admiration of the Army's principles -- its organizational objectives and goals, its performance over the decades in areas not only of military success, but what I think of as social equity," he said. "But your life's works need to have a higher purpose." Explaining how his career began, the Oklahoma native said it was a $5 bill that transformed his boyhood dream into reality in 1971. "My mother asked me how I knew I wanted to be a pilot if I'd never flown, so I went to the local airport, paid $5 and rode in a Piper 140 airplane for about 20 minutes," he said. "Then I walked right into the Army recruiting office and said, 'Send me to flight school.'" The recruiter told then-19-year-old Brown about a program called "High School to Flight School." Still in his first semester of college, he knew flight school was a good opportunity, so he took it. His mother had reservations about him going to war, but knew that flight school was something her son would never be afforded any other way. "He always wanted to be a pilot, even when he was a little boy, playing with [toy] airplanes," his mother, Betty S. Terry-Schmidt, said. "It did not surprise me that he chose to be a pilot." Following basic training at Fort Polk, La., Brown went on to primary flight school at Fort Walters, Texas, and advanced flight school at Fort Rucker, Ala. Even then, Brown was a force to be reckoned with. As the custom held on the day of a pilot's first solo flight, fellow students would throw the pilot into the local swimming pool. "I evaded them successfully for about two hours, which, at that time, I think was a record," Brown said. "Then, of course, I was finally caught and thrown into the pool." Brown proved to be an exceptional beginner pilot and graduated at the top of his class. This distinction earned him the privilege of choosing which air frame he would fly. "I knew Vietnam was a hot and muggy place," he said. "There was one aircraft with air conditioning, so I went with the [AH-1] Cobra. Besides that, I knew if somebody shot at me, I could shoot back." And choosing the Cobra guaranteed Brown would get shot at. "The question was not 'Who's going to Vietnam?'" he said. "If there was one or two not going to Vietnam, that was the unusual part. Everyone was going to Vietnam -- me, especially, when I chose the Cobra. That was 100 percent assurance you were going." While Brown embraced the adventure on which he was about to embark, his mother struggled to temper her fears with the support she knew her son needed. "As a mother, I was anxious. Not about him leaving, but about him going into war," Terry-Schmidt said. "I could understand his feelings, though. He was very determined, so I could only back him." Rather than feeling fear or anxiety about heading to war, Brown chose to think positively. "We were apprehensive about what could happen in Vietnam," he said. "At the same time, we were young and bold, and we would be the ones to beat the odds." While Brown beat the odds, not all of his buddies did, nor did the enemy. But despite the casualties he saw in Vietnam, he said he never experienced post-traumatic stress the way some veterans have. "I was young and naive enough that it didn't faze me," he said. His job as a gun pilot was to take down the enemy by any means necessary, and he did his job. "Nonmilitary people don't understand, especially back in the days of Vietnam," he said, "and if you can't deal with that part of it, the military may not be a career path you should take." "He was always a strong young man, and he knew what he had to do," Terry-Schmidt said. Back at home, Terry-Schmidt had to endure long gaps in communication from Brown, with only the news to keep her informed. Sometimes it would be three weeks or longer before she'd hear from him. "It would seem like forever," she said. "I was always anxious for his safety." To keep her mind off the periods of no news from her son, she kept herself occupied. "At that time, I was working, and I had younger children still at home, so in the daytime, I was busy," she said. "At night time, I would think of him, and of course, I did a lot of praying, trusting that God would take care of him and my prayers were answered." Communication then was not like it is today, where soldiers can have contact with family and friends at most any time of the day, Terry-Schmidt said. This time around, she hears from her son a few times a week. Improvements in communication have improved not only soldiers' morale, it also has improved how they fight wars, Brown said. Throughout his career, he has become qualified on 11 types of aircraft -- both rotary and fixed wing -- some with multiple models, like the UH-1 Huey models B, C, D and H. He has deployed five times. 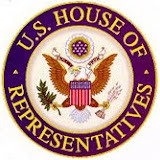 WASHINGTON, D.C.—On Wednesday, September 21, 2011, at 10:00 a.m., in Room SD-G50 of the Dirksen Senate Office Building, the House Committee on Veterans' Affairs and the Senate Committee on Veterans' Affairs will receive the legislative presentation of The American Legion. Bradley County veterans took time Friday morning to remember soldiers, sailors, airmen and Marines who were held as prisoners of war and those who are still missing. The annual recognition ceremony was held at Veterans of Foreign Wars Post 2598. It was the fourth year local veterans and families paused to pay homage to the more than 100,000 service members missing or unaccounted for from World War II, the Korean War, the Cold War, the Vietnam War, Iraq and Afghanistan. The numbers include 74,791 from WWII; Korea, 8,031; Vietnam, 1,721; "and many, many more from the Cold War, Iraq and Afghanistan," said VFW Post Commander and master of ceremonies Ed Baumuller. "I'm proud we still have this spirit in our town that we turn out to honor those who have given the ultimate price." Participating was retired Navy Chaplain Capt. Paul Williams, of Rossville, Ga., where he pastors the First Baptist Church. He served on the USS Nashville during Vietnam. He retired from the service after 32 1/2 years. He was commissioned as a chaplain in 1966. While he has never been a prisoner of war or been listed as missing in action, he has dealt with people who have. "I was called upon many, many time to accompany the casualty assistance officer to report to families of either a death or a missing in action," he said. He also conducted many funerals and memorial services that gave him the opportunity to pay his respects to men who had given their lives or were missing. "It was a chance to minister to the families." American Legion Post 81 Chaplain Oscar Kelly prayed for Americans to remember those homes where emptiness dwells in place of loved ones who have not returned home from battle. He said there are men and women who have given their last full measure of devotion and others who still suffer from wounds that purchased liberty. "Give comfort to those who wait in sorrow and to those who are hurting because of their loss," he said. "We pray thee we may have peace in our time, so those sacrifices will not have to be repeated." Pearl Harbor survivor George Allen lit the ceremonial candle. Grant Pirkle explained the MIA/POW memorial table set for one, symbolizing members of the armed forces missing from the ranks, who are referred to as POWs and MIAs. "We call them brothers and sisters," Pirkle said. "They are unable to be with their loved ones and families, so we join together to pay humble tribute to them." The table is small, symbolizing the frailty of one prisoner, alone against his or her oppressors. The tablecloth is white, symbolic of the purity of their intentions to respond to their country's call to arms. "The single rose in the vase signifies the blood they shed in sacrifice to ensure the freedom of our beloved United States of America," Pirkle said. "The rose also reminds us of the families and friends of our missing brothers and sisters, who keep faith while awaiting their return." A red ribbon around the vase stands for the red ribbon worn on the lapels of thousands of Americans who demand, with unyielding determination, a proper accounting. A slice of lemon on their plate is a reminder of their bitter fate. Salt sprinkled on the plate is a reminder of countless tears shed by waiting families. "The glass is inverted. They cannot toast with us at this time," he said. "The chair is empty. They are not here. The candle is reminiscent of the light of hope that lives in our hearts to illuminate their way home, away from their captors, to the open arms of a grateful nation. The Bible represents strength gained through faith to sustain those lost from our country, founded as one nation under God. The American flag reminds us that many of them have never returned, for they have paid the supreme sacrifice to ensure our freedoms." UK Cold War era veterans your help is needed! I know you are all working your socks off ref the signatures on the petition. We need to send the weekend message to MoD by getting as near to 2,500 as we can today. we are currently on 2,424. If you get chance to phone another activist, phone a friend, email or get a family member on the job we should pick up the 78 we need by 1700 hrs. Hopefully we will be at 3,000 by end of next week. PS, Trouble signing? Please email me your issue. "Throughout history, America's servicemembers have been the torchbearers for freedom and democracy around the world. 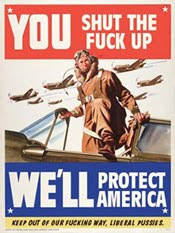 The men and women who serve our country willingly put themselves into harm's way in order to defend our values. "The most obvious of all risks, is that of their lives. There is no guarantee that a servicemember will come home. Some return wounded, some are killed in action, and others never return at all. It is today, the third Friday of every September, that we nationally recognize this third group, America's Prisoners Of War and Missing In Action. "POWs and MIAs must never be forgotten. It is our responsibility to ensure that their legacy is preserved. The price of our freedom, the price of our democracy is paid for by the selflessness of those who serve. "As Chairman of the House Committee on Veterans' Affairs, I work every day to ensure veterans receive the benefits they earned. However, none of the benefits afforded to America's veterans – healthcare, disability compensation, educational benefits, or even burial rights – can be provided to those who are POW/MIA. "Louie Zamperini, a lieutenant with the Army Air Forces in World War II, is one MIA/POW who did return home, a journey detailed in Laura Hillenbrand's Unbroken. His story is regrettably not typical. Although his family never gave up hope, they did not know if he was alive after his plane crashed in the South Pacific. The military determined him to be MIA when in fact Louie was adrift at sea for more than 60 days after surviving the crash. Just when hope was in sight – land – Louie was captured by the Japanese and sent to a POW camp where he was subjected to unimaginably cruel treatment for three years. His grit kept him alive while in captivity. His faith kept him alive when he returned home. "Our POW/MIA families live in the same suspension of hope that Louie's family did – for years. But for many, that hope never turns into reality. Their loved ones do not have a gravesite to visit, only a memory that never materializes. "In 1998, as part of the 1998 National Defense Authorization Act, National POW/MIA Recognition Day was created. It is one of six days where the POW/MIA flag is allowed to be flown. "Today, 83,580 are listed as POW/MIA. Let us all remember those who have yet to come home. The best benefit we can give to our POWs/MIAs is to appropriately honor them, not just on this day, but on all days. "We will continue the search for every single POW/MIA until the last one comes home." Thank you very much, Admiral Winnefeld, for that introduction. Distinguished guests, veterans, wounded warriors, senior leaders of the Department, let me express to you how I honored I am to be here on this solemn day. This is my first opportunity as the new Secretary of Defense to pay tribute to the POW/MIA community. I'd like to especially recognize the representatives of that community, former prisoners of war, and the families of the missing in action, all of whom have joined us here this morning. Today as we honor those who have been imprisoned and those missing while defending our nation, we also honor their family members, the brave men and women who have kept those memories of their loved ones burning bright and who have never stopped, never stopped, pushing this nation and its leaders for the closure that they deserve. Forty years ago, during the Vietnam War, it was the wife of a missing service member, a young woman named Mary Hoff, who realized that a symbol was needed to remind us of his plight; to remind us of all our service members who were missing or suffering at the hands of foreign captors. She developed the idea of a flag, with a haunting image designed by a World War II pilot, that would eventually become a national emblem. It is the only flag, aside from Old Glory, that has flown above the White House. In 1989, it was installed in the Capitol rotunda as a symbol of this nation's commitment to fully account for those that are still missing. I was a member of Congress at that time, and was so inspired by the flag and by what it stood for that I introduced legislation to require that it be flown at U.S. diplomatic posts and military installations worldwide. What moved me and so many others about this flag was not only the stark design, but the message inscribed across the bottom of that flag: "You are Not Forgotten." Today, we reaffirm that sacred pledge: "You are Not Forgotten." We voice an entire nation's unending support and our undying promise that, no matter how long it takes, no matter what it takes, we will not stop until we have brought every American home. We pledge that we leave no one behind. Over the years, slowly, methodically, we have been making progress in this effort. Six hundred men and women of this Department – military and civilian, investigators and scientists – work tirelessly around the world to fully account for the more than 80,000 American service members who remain unaccounted for from last century's conflicts. This is painstaking work, carried out in the field and in laboratories here at home. Because of these efforts, the remains of 98 missing American service members have been identified in the past year – 25 from the Vietnam War, 36 from the Korean War, 36 from World War II, and one from World War I. That's 98 more families who now have closure, and the knowledge that their nation did not forget them, did not let the passage of time dampen our resolve to locate and identify their loved ones. No other country, no other country, has devoted so much energy and so many resources to account for our fallen. We do this because we believe that every life is precious, and because those who put their lives on the line for this country need to know that we will spare no effort to bring them home. Today I make to you the promise, as Secretary of Defense, we will do everything we can to bring them home. A promise I make not only to the families of the missing and captured, but to all of our men and women serving in harms' way around the world. In the wars of this century, we are blessed by the fact that fewer Americans are missing, fewer have been taken as prisoners, and fewer families have had to wait for their return. Still, as we gather here, three DoD contractors are missing and two soldiers are being held captive in Iraq and Afghanistan – Staff Sergeant Ahmed Altaie, captured in Iraq in October 2006, and Sergeant Bowe Bergdalh, captured in Afghanistan in June of 2009. This morning, we gather here and again call for their release and reiterate our commitment to bring all missing Americans home. 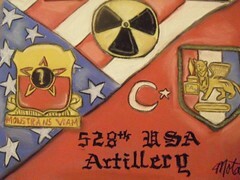 That commitment, simple yet sacred, is fundamental to the values of our nation and, in turn, to our military. And as we raise the POW/MIA flag in communities across America, we pledge to live by its creed, "You are Not Forgotten," not only today, but every day. Around the time that flag came into existence so did POW/MIA bracelets, each bearing the name of a soldier being held as prisoner or missing in action in the Vietnam War. In 1972, a 12 year-old from California named Kathy Strong got one of those bracelets in her Christmas stocking. On it was the name of Sergeant James Moreland, an Army Green Beret who had gone missing four years earlier. And on that Christmas morning, that 12 year-old girl decided she would wear that bracelet until James Moreland came home, until she could hand it to him in person. Kathy Strong wore that bracelet for 38 years, unsure if she would ever take it off. Then, early this year, 43 years after he went missing, James Moreland's sisters got word that their brother's remains had been found and that, at long last – through the tireless efforts of DoD personnel – he had been identified. Sergeant Moreland's sisters invited Kathy to the funeral in May. And there she took off her bracelet and put it on Sergeant Moreland's uniform. Kathy Strong should inspire us all. For it should not just be a few among us that help families carry the torch year after year, decade after decade for those who are missing; it needs to be all of us. It should be all of us who as one family, and one nation pledge on this day, and every day, that for as long as it takes to bring every American home, we will never stop working, we will never stop searching, and we will never stop thinking of those lost warriors. We will never forget those who have sacrificed for our freedoms and our values. That is why this country is the greatest country on earth. May God bless those who have lost their dear ones, may God bless their families, and may God bless this great nation of ours. Thank you.